Paying employees correctly is your most important – and legally risky – responsibility. You must get it right for every employee, every time. 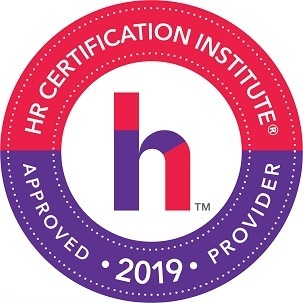 On Tuesday, April 16, discover what you must do (and not do) to stay in compliance with federal and state pay laws in 2019. 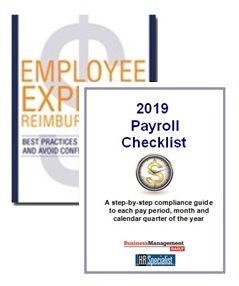 Join payroll expert Alice Gilman, Esq., the editor of Payroll Legal Alert, for Employee Pay Workshop: Compliance Advice for 2019. Important: This webinar is especially timely because state and federal regulators are taking a MUCH closer look these days at how you pay employees. Last year alone, the U.S. Department of Labor secured more than $304 million for employees in back pay – an all-time record for DOL enforcement. State regulators are racking up equally impressive hauls. And the Trump Administration will be making some big changes to payroll laws – you need to stay informed. New risk: The FBI says hackers have been finding employees direct deposit information, changing employees' passwords and then stealing the money! What can you do? When you can make direct deposit mandatory. Discover what the federal Consumer Financial Protection Bureau and state payday laws say about mandatory direct deposit policies. Learn five simple ways to encourage employees to voluntarily sign up for direct deposit, the three key traps that will sabotage your goal of 100% electronic pay, plus the three easy steps to keep your direct deposit info away from hackers. When you can deduct pay for breakage, cash shortages and discipline. Discover the eight indispensable policy pointers to keep your company toeing the legal line when making loss-related deductions from employees' pay. 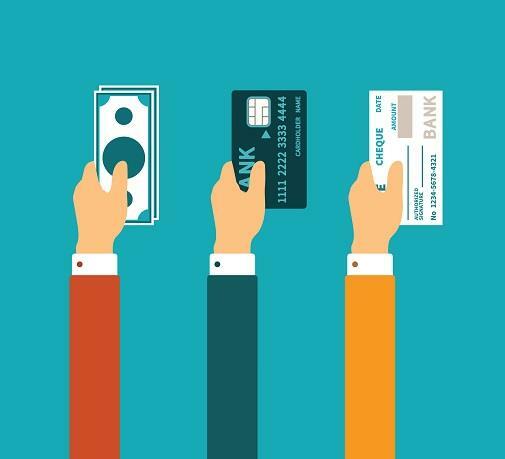 How you can legally pay employees using paycards. Don't make the mistake of other employers and become lawsuit bait when paying workers via payroll debit cards. Learn the specifics of the Federal Reserve's Regulation E, and the six steps to keep you and your paycard program out of court. How (and how quickly) you must pay departing workers. Learn the ins and outs of termination pay, including step-by-step instructions on creating a voluntary termination pay workflow, and the nine dos and don'ts for involuntary terminations. When you must pay for sick days. Find out what the new state and municipal mandatory paid sick day laws require. Hint: Even the smallest employers aren't off the hook for mandatory sick days. Government contractors and subcontractors beware: You must now provide certain employees with at least 7 days of sick leave per year. What's a "wage theft" law – and why you should care. Such laws place substantial burdens on employers and are the latest twist in state payday laws. 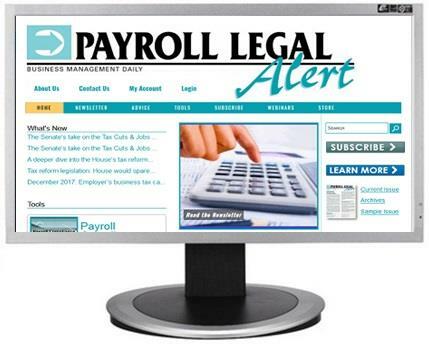 Plus much more … and answers to your questions from a true payroll expert, attorney Alice Gilman. Even one payroll mistake can damage your standing in the office – and possibly your career. It's important to spot the holes in your employee pay compliance before the feds or state agencies do. Make sure you're up to speed on the latest employee pay laws and regulations by joining Alice on April 16. P.S. Two Registration Bonuses. 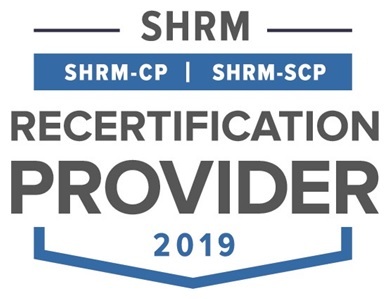 Everyone who signs up for Employee Pay Workshop will receive two extra bonuses: Employee Expense Reimbursements: Best Practices to Pay Employees and Avoid Conflicts With the IRS; and a copy of the 2019 Payroll Checklist, a 15-page, step-by-step compliance guide to each deadline and action item for this year. P.P.P.S. We promise you'll be satisfied. 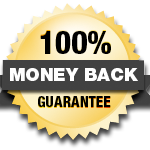 If Employee Pay Workshop fails to meet your needs in any way, we will refund 100% of your tuition – no hassles, no questions asked. Your conference materials, website access and two registration bonuses are yours to keep.